Little Brinley. What can I say. It was time to cut your beautiful blonde locks off. Not only did you get a dress code violation at school (hair can't touch the collar or be in your eyes), but you hate when you are mistaken for a girl (or in your words gurell). I get it, you are 4 now, and being called a girl hurts your feelings. I certainly don't want that. It isn't fair to have your feelings hurt. So I finally felt like it was time to let my baby go and let you grow up a tiny bit. I asked "Brinny! Do you want your haircut today?!" You enthusiastically replied, "Yes!!! like Boppa's!!!" You then pondered a moment and changed your mind "No! Like Jake's -Jenna's Jake! (who is married to one of my good friends)" They both have very traditional boy haircuts and I knew that it was time to do more than a trim. I was super excited for you, but my heart sank a tiny bit, but mostly because this means you are growing up. I am not sure I am ready to let you grow up. But you were ready. You didn't hesitate for a single moment. 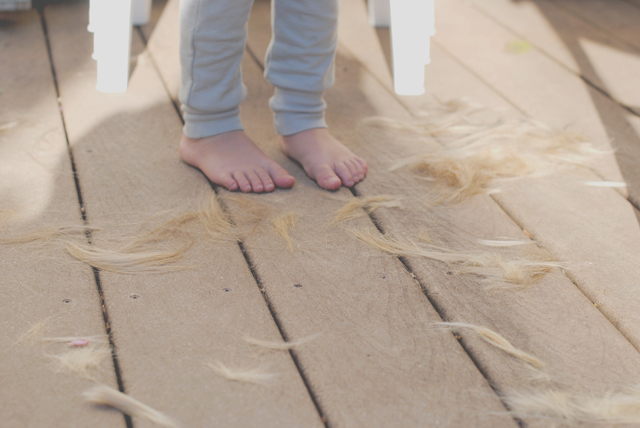 So we went to the back yard where the best haircuts happen and in the warm sun your pretty little hair fell to the floor quickly. You were giddy and giggling! You sat so good because you couldn't wait to have cool hair. But you did have cool hair! You did! I love the way it swooshed when you ran. And the way you let me slick it back when it was wet. I will miss the way it fell forward when you looked closely at something. I will miss you putting it in your mouth and sucking on your bangs, ok I won't really miss that... but I will miss the way you pushed it out of your eyes so that you could try to see things. I will miss how it wrapped around your swollen cheeks. I will miss the way daddy would push it back off your sweaty face when you played together. I don't know - it just suited you so well! But I love your new do! And through tear-filled eyes I cut it off while you giggled. You kept rubbing the back and saying you loved your fuzzy head. Then, I brought you to the mirror to see the finished product and you said "So... is my name still Brinley now?" Gosh I love you kid! Gosh I just really love you! You followed it up with a "Now no one can call me a gurell (girl)!" And I kissed you and you were a big boy for the first time in my eyes. ps you have amazing eyes that we can all see now!!! What a little cutie! I feel your pain. He really does look amazing with his new 'do, though!!!! He's a different child!!! Really! How can a haircut magically wash away the baby and bring around the boy? Oh my golly. I'm dying from his cuteness!!!!!! Aw mama! I want to cry for you. 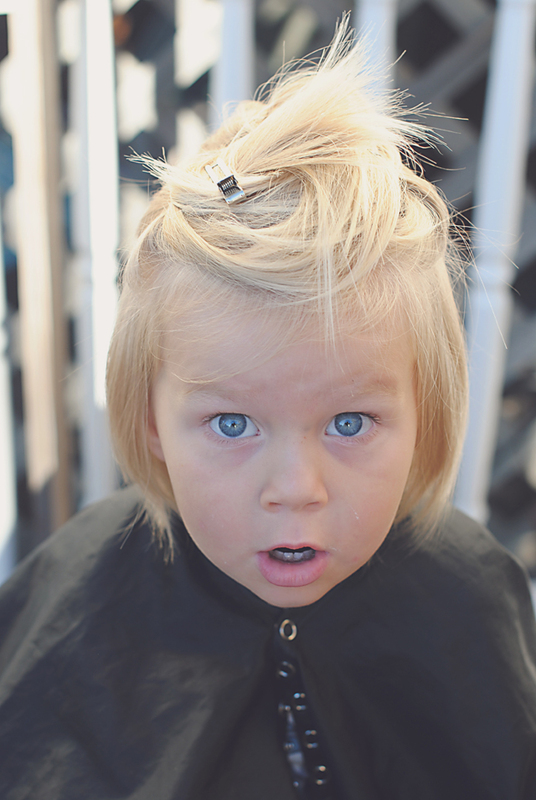 My older son has long beautiful hair and I loathe when we go in for his (yearly LOL) haircut. 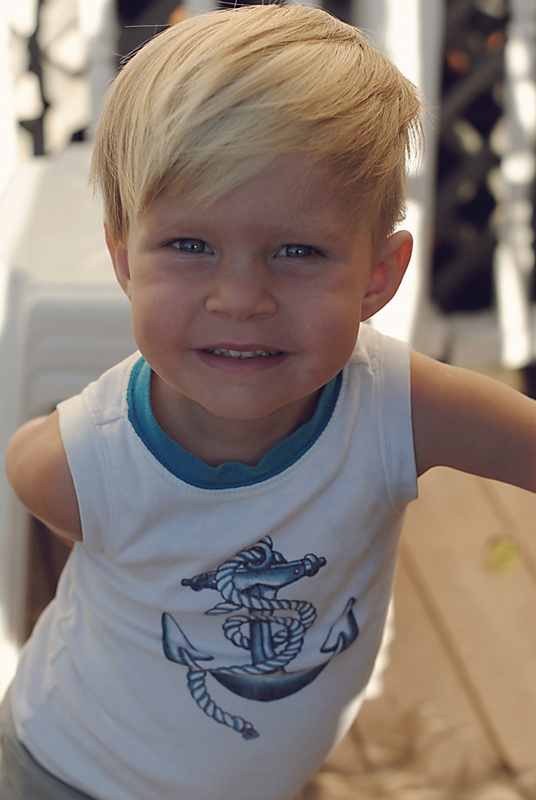 Your little one looks so darling with his new 'do! A hair dress code in school for boys? That's so crazy! My boys always get mistaken for girls since they were babies, especially the older one (even still at 6). Anyway, he looks very handsome with his new haircut, granted he was handsome with the long hair too!! 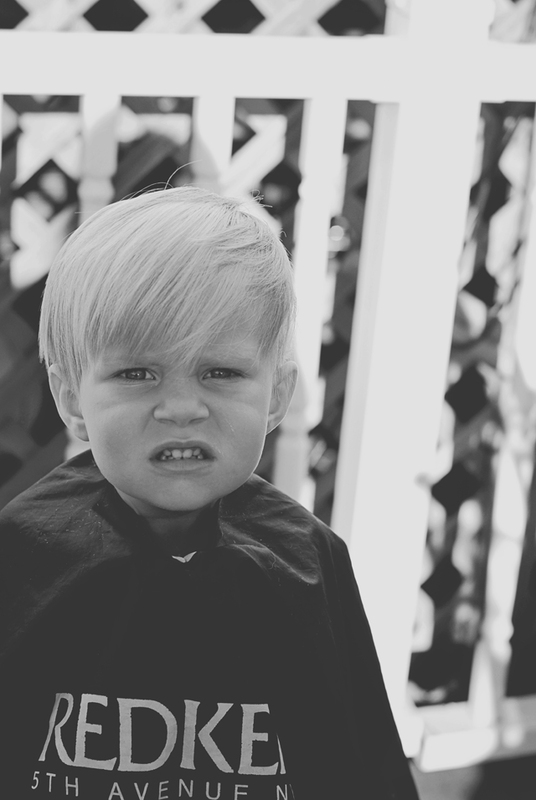 My 4 year old's hair was getting really long in the back and I gave him a haircut the other day too. 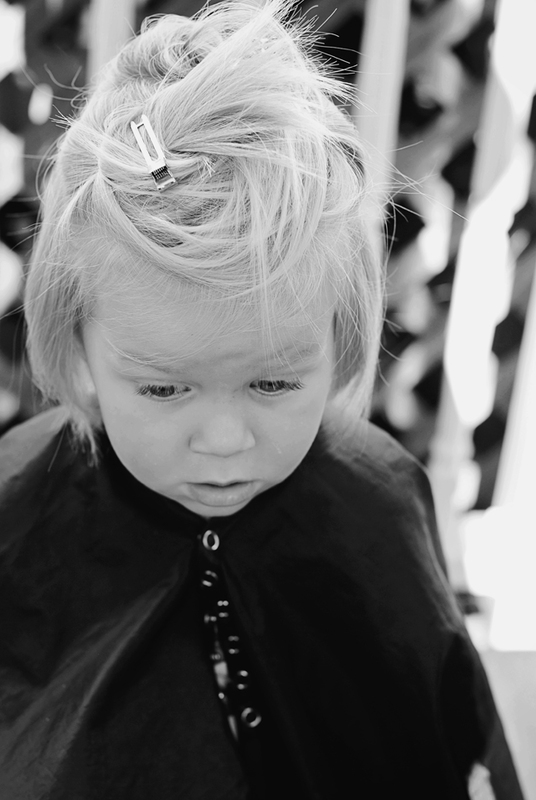 . . although he has little curls and I hate cutting them.